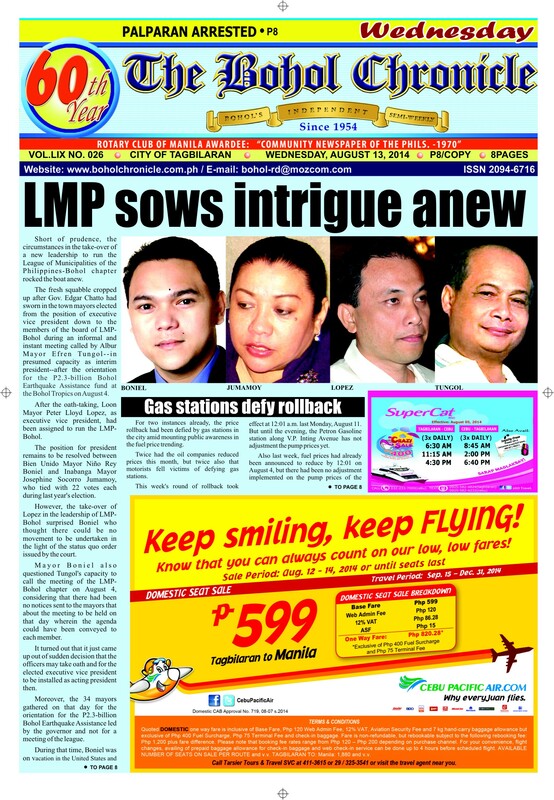 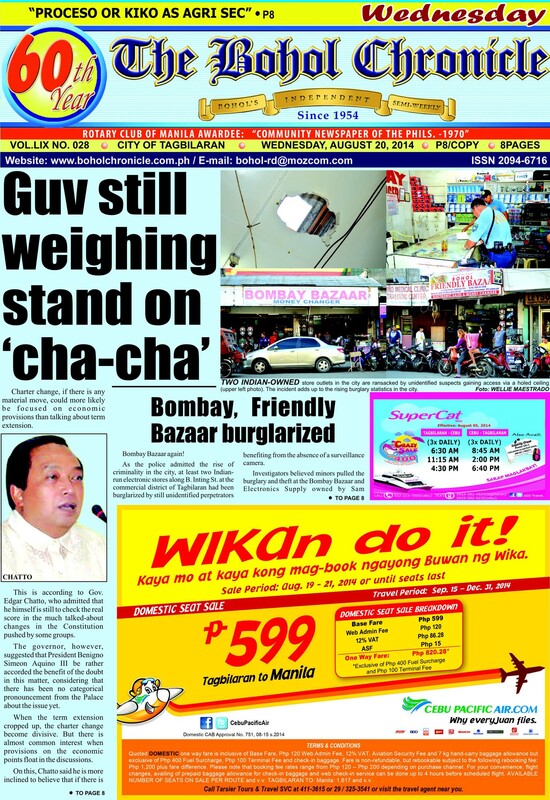 Bohol Chronicle - Digital Archive of Bohol\'s Independent Semi-weekly. 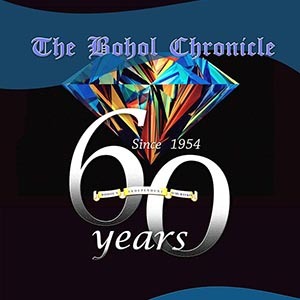 The Bohol Chronicle celebrates its 60th anniversary on May 16, 2014 and this website is launched as a digital archive of all the front pages of the leading Boholano newspaper. 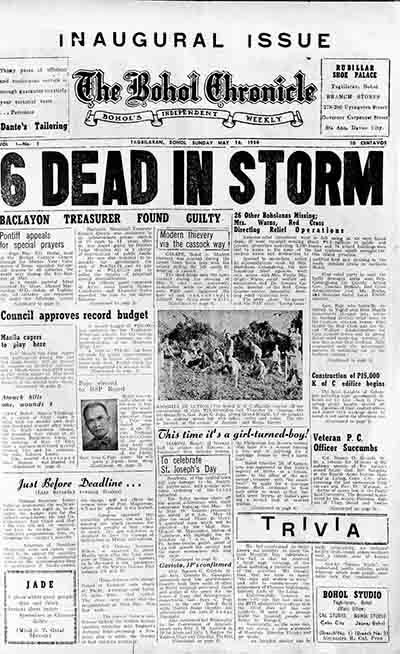 Go back in time and read the history of Bohol in this unique archive which is another pioneering project by the Bohol Chronicle Radio Corporation and Auza.Net, the technology company that made this possible. 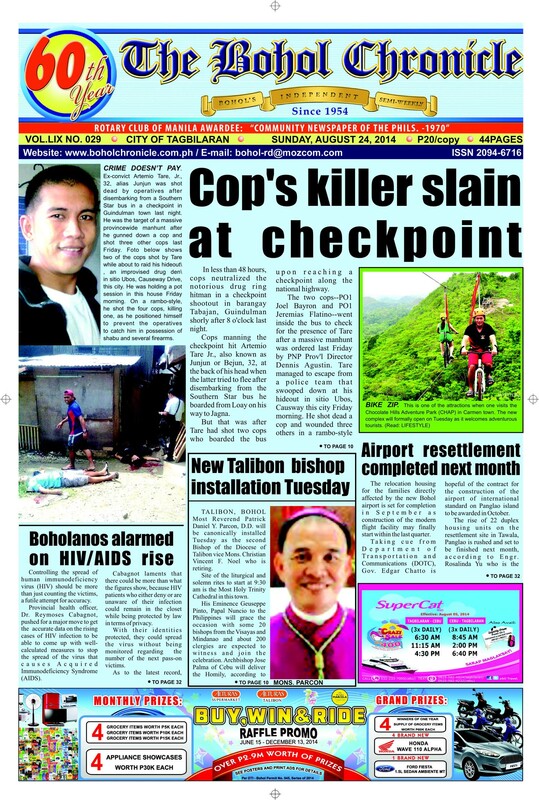 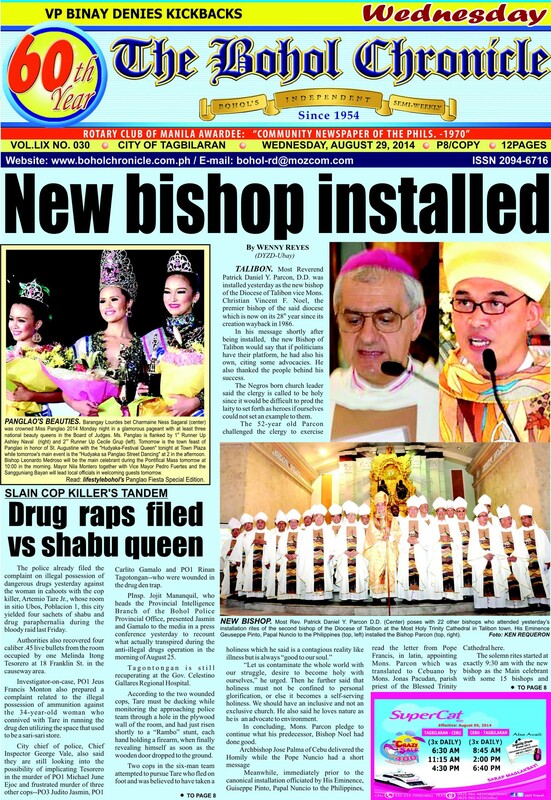 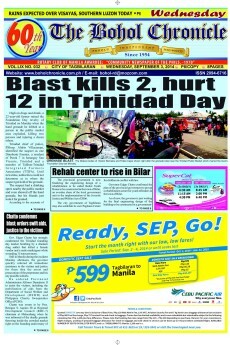 The inaugural issue of the Bohol Chronicle. 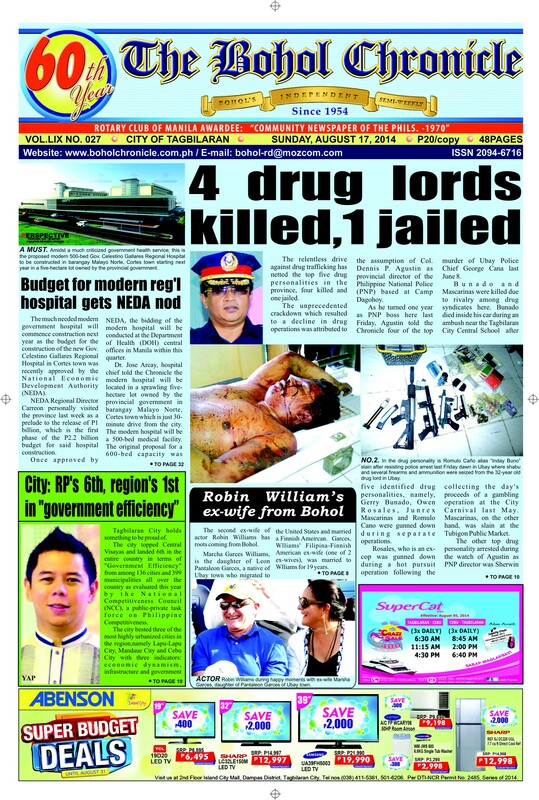 WILL SENATORS VOTE AS POLITICAL ANIMALS?